Recommendations contained in this document are based on evidence where available. If no evidence exists, the recommendations are based on expert opinion, and will continue to evolve over time and be updated in future documents as further insight is gained. SBW and MBW testing offer complimentary information, but the choice of test used may be age and disease dependent. Depending on the pathology under study, relationships between MBW-derived indices may help identify the type of structural changes. A series of individual equipment component recommendations are provided in this document. It is, however, unlikely that all individual criteria outlined will be fulfilled by any one system, which is why overall system performance during validation and subsequent testing is the central aspect of importance. FRC measurement validation is an essential step and should assess all the stages of the measurement including post-data acquisition processing procedures, such as BTPS correction. FRC measurement accuracy does not ensure accuracy of all other derived indices and biological control measurements and monitoring is essential. Responsibility for commercial system validation and ongoing reliability of system performance should lie with the manufacturer. However, close vigilance by the end user is essential. Biological control measurement and monitoring during subsequent clinical and research testing is an essential component of this. FRC and ventilation inhomogeneity indices must relate to the same geometric reference point in the airstream. FRC end-point for measurement during the washout should correspond to the end of test threshold used for ventilation inhomogeneity index analysis, e.g. LCI threshold. The method of FRC determination, indices of ventilation distribution inhomogeneity calculation, and any corrections performed (e.g. VT or VC) must be clearly described. Both corrected and uncorrected values should be reported to facilitate a priori analysis in the future. 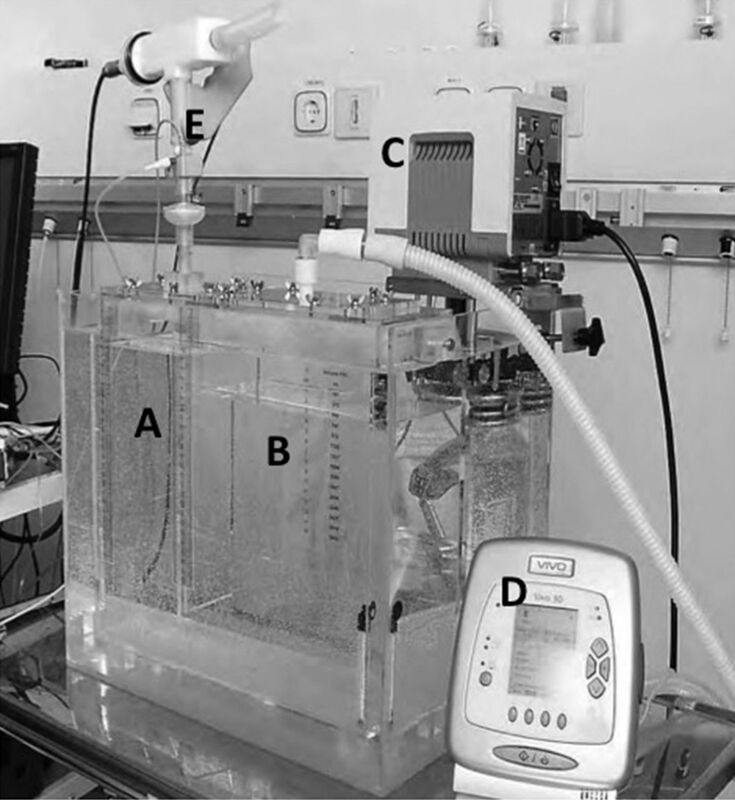 Suitability of open-system inert gas washout equipment for use in different age ranges is determined by the overall contribution of characteristics such as equipment dead space and analyser dynamic properties. The choice of inert gas used is dependent on many factors, but impacts on the results obtained. Normative values are inert gas specific. 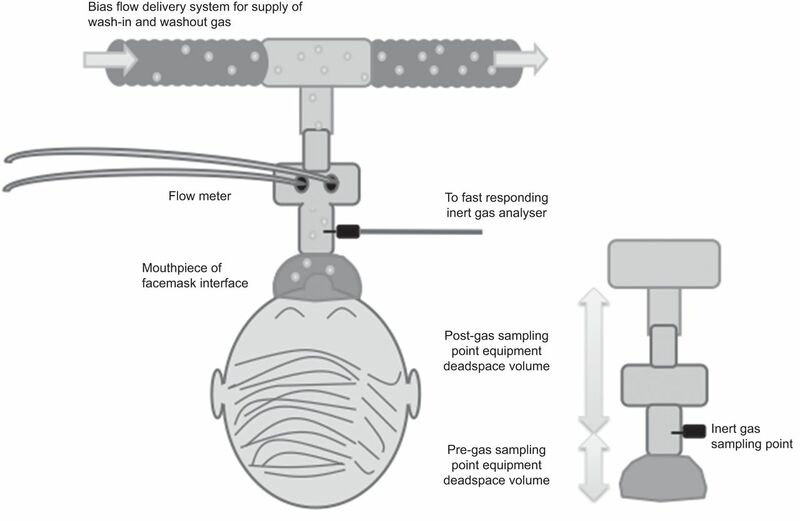 Comparison of multiple simultaneously measured inert gases may provide additional information about the location of underlying pathology. Correction for tissue N2 diffusion into the lung is not currently recommended due to a lack of appropriate data to base corrections on. A variety of factors may lead to differences in reported washout indices between centres and experimental conditions under which normative data are obtained should be clearly described. Quality control during testing is critical and extends beyond equipment performance and software feedback to also include close observation by the operator of the subject’s behaviour during testing and how this affects the data obtained. Adequate operator training and appreciation of all factors influencing test results is essential. Breathing patterns during testing should be kept similar between subjects to facilitate comparison of results. In adults this is achieved by using strict breathing regimens where feasible and in younger children (aged ≤16 yrs) by distraction to encourage relaxed tidal breathing. The end test threshold used for MBW tests will depend on the ventilation distribution index (or indices) being reported. Formal FRC repeatability criteria for MBW indices should not be routinely applied, but FRC values within 10% should be viewed as encouraging. FRC values differing by more than 25% from the median of three test values should be excluded. SBW: single-breath washout; MBW: multiple-breath washout; FRC: functional residual capacity; BTPS: body temperature, ambient pressure, saturated with water; LCI: lung clearance index; VT; tidal volume; VC: vital capacity; N2: nitrogen gas. SBW: single-breath washout; MBW: multiple-breath washout; BTPS: body temperature, ambient pressure, saturated with water; SnIII: normalised phase III slope; VT: tidal volume; CEV: cumulative expired volume; FRC: functional residual capacity; VD,aw: deadspace volume of the conducting airways. SnIII and SnIII × VT (i.e. 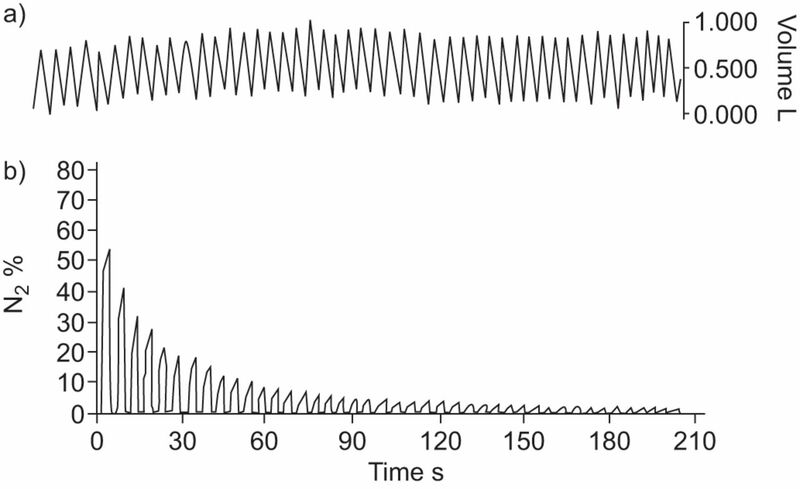 VT-corrected SnIII) displayed for each breath on two separate graphs. 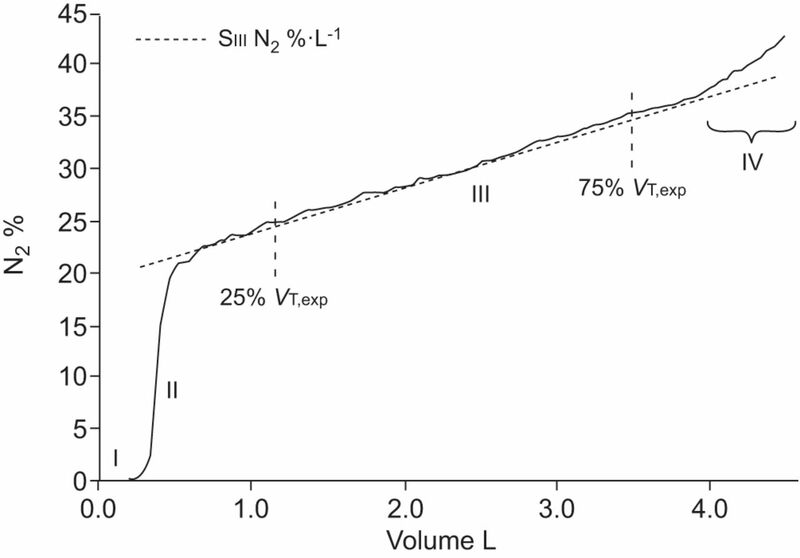 Report both SIII (%·L−1) and SIII × expiratory VC (%) separately. BTPS: body temperature, ambient pressure, saturated with water; ASCII: American Standard Code for Information Interchange; SIII: phase III slope; SBW: single-breath washout; MBW: multiple-breath washout; SnIII: normalised SIII; N2, nitrogen; CO2: carbon dioxide; He: helium; and SF6: sulfur hexafluoride; O2: oxygen; FRC: functional residual capacity; LCI: lung clearance index; VD: deadspace volume; FRCao: FRC at the airway opening; FRCgs: FRC measured at the gas sampling point; CoV: coefficient of variation; VT: tidal volume; TO: lung turnovers, calculated as cumulative expired volume/FRC; DCDI: diffusion convection-interaction-dependent inhomogeneity; Sacin: DCDI contribution to first breath SnIII. 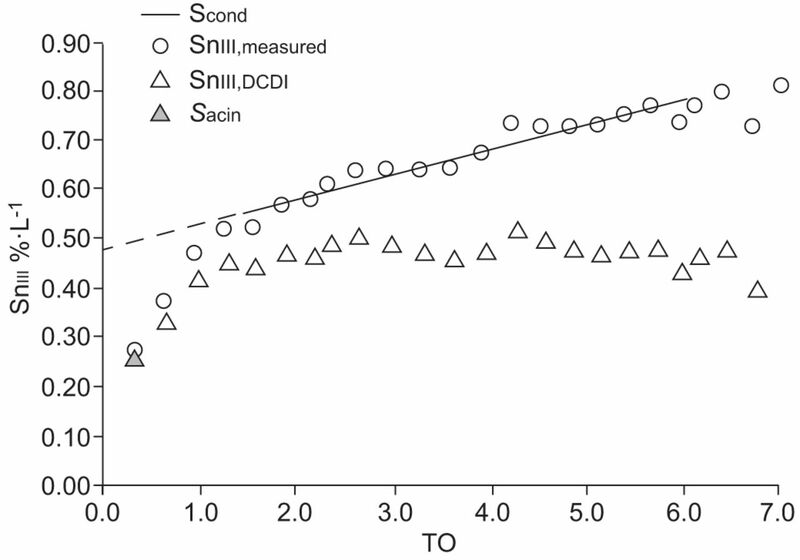 CDI: convection-dependent inhomogeneity; Scond: rate of increase of SnIII from 1.5–6 TOs, also CDI contribution to SnIII; VC: vital capacity. BTPS: body temperature, ambient pressure, saturated with water; FRC: functional residual capacity. 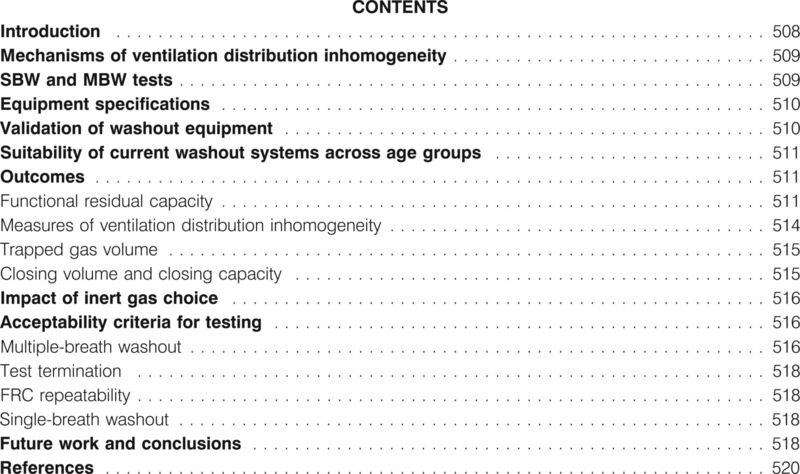 N2: nitrogen gas; VD: deadspace volume; VT: tidal volume; SnIII: normalised phase III slope; LCI: lung clearance index; CF: cystic fibrosis; FRC: functional residual capacity; TO: lung turnovers, calculated as cumulative expired volume/FRC; VD,aw: deadspace volume of the conducting airways. MBW: multiple-breath washout; SIII: phase III slope; VC: vital capacity; VT: tidal volume; FRC: functional residual capacity; N2: nitrogen gas.